DORELL GHOTMEH TANE / ARCHITECTS is an International partnership office based since 2006 in Paris and practicing Architecture, Urbanism and Space Design. 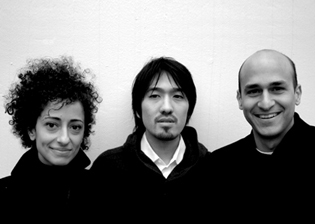 The office is headed by three multinational Architects: The office's structure was possible because of our current global world, where three Architects from different nationalities were able to join into one practice their culture(s), their backgrounds and their different methodologies on the production of space. Having worked in a wide range of different cities on major cultural and multifunctional projects, the three principal Architects have developed a great sensitivity to deal with the cultural complexity framing their projects.